Nickel: Mineral information, data and localities. From the German Nickel, meaning a demon, as a contraction of Kupfernickel, Devil’s copper, as it was believed to contain copper but yielded none. See also awaruite, kamacite and taenite. Compare 'UM1981-07-E:FeIrNiOsRu'. NB: Quite likely many of the listed localities for "native" nickel in reality just refer to nickel-bearing ores and not the native element. Caveat emptor! White (more bluish white than heazlewoodite). euhedral grains and intergrown cubic crystals, up to 0.1 mm, within heazlewoodite; anhedral, “spiderlike”, irregular masses between grains of heazlewoodite; flakes, up to 0.75 mm in size. LT-hydrothermal in serpentinized ultramafic rocks. Oktibbehite A name for meteoritic "iron" with Ni>Fe. Mixture of Awaruite, Taenite and other high Ni minerals. Originally described from Oktibbeha Co., Mississippi, USA. Unnamed (Ta-Mo intermetallide) 2 photos of Nickel associated with Unnamed (Ta-Mo intermetallide) on mindat.org. Ramdohr, P. (1967) The wide spread paragenesis of ore minerals originating during serpentinization (with some data on new and insufficiently described minerals). Geologiya Rudnykh Mestorozhdenii: 2: 32-43. Fleischer, M. (1968) New mineral names. American Mineralogist (1968): 53: 348. Challis, G.A. (1975) Native Nickel from the Jerry River, South Westland, New Zealand: An Example of Natural Refining. Mineralogical Magazine: 40: 247-251. Dekov, V. (2006). Native nickel in the TAG hydrothermal field sediments (Mid‐Atlantic Ridge, 26° N): Space trotter, guest from mantle, or a widespread mineral, connected with serpentinization?. Journal of Geophysical Research: Solid Earth (1978–2012), 111(B5). Graham, J. (1978) Manganochromite, palladium antimonide, and some unusual mineral associations at the Nairne pyrite deposit, South Australia. American Mineralogist, Vol. 63, pp. 1166-1174. Kolitsch, U. & Brandstätter, F. (2010): 1666) Ein vorläufiger Bericht über seltene Ni- und Cr-Mineralien vom Kirchdorftunnel der Brucker Schnellstraße, Steiermark. Pp. 250-252 in Niedermayr et al. 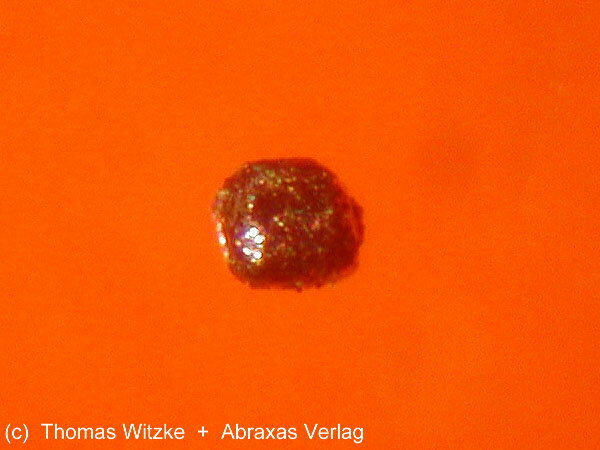 (2010): Neue Mineralfunde aus Österreich LIX. Carinthia II, 200./120., 199-260. Chen, Yuan, "Precious-metal Mineralization And Sulfide-silicate Relationships In Some Canadian Nickel-copper Sulfide Deposits: Thompson Mine, Manitoba; Sudbury, Ontario; Dundonald Beach, Ontario" (1993). Digitized Theses. Paper 2231. Hulbert, L. J., Duke, J. M., Eckstrand, O. R., Lydon, J. W., Scoates, R. F. J., Cabri, L. J., & Irvine, T. N. (1998) Geological Environments of Platinum Group elements. Geological Survey of Canada, Open File 1440. Natural Resources Canada. Liu Jiajun, Mao Guangjian, Ma Xinghua, Li Lixing, Guo Yuqian, Liu Guangzhi (2008): Science in China, Series D (Earth Sciences), 51(6), 769-777. Jingsui Yang, Zhiqin Xu, Wenji Bai, Qingsong Fang, and Zhongming Zhang (2006): 3rd Annual Meeting of the Asia Oceania Geosciences Society (AOGS), July 10-14, 2006, Abstract 59-SE-A0643. Pakkanen, L. & Luukkonen, E. (1995): Native nickel and copper in the Kauniinvaara ultramafic body of the late archean Suomussalmi greenstone belt, eastern Finland. in: Autio, S. (toim.) Geological Survey of Finland, current Research 1993-1994. Geologian Tutkimuskeskus Special Paper 20, 23-29. Montrasio, A., Sciesa, E., Vignola, P. (1996): Collezionare minerali. Hobby & Work, Ed., Milano, 800 pp. Miura et al (2000) Koubutsu-Gakkai Kou'en-Youshi, 211. Challis, G.A. (1975) Native nickel from the Jerry River, South Westland, New Zealand: an example of natural refining. Mineralogical magazine 40: 247–251. Dekov, V. (2006) Native nickel in the TAG hydrothermal field sediments (Mid‐Atlantic Ridge, 26° N): Space trotter, guest from mantle, or a widespread mineral, connected with serpentinization?. Journal of Geophysical Research, 111(B05103). Astakhova, N. V., & Kolesnik, O. N. (2014). Ore mineralization in volcanic rocks from the submarine rises of the Sea of Japan. Geochemistry International, 52(2), 144-161. Gurdziel, A., & Karwowski, Ł. (2016). Reevesyt i jarosyt–nowe wtórne fazy w meteorycie Morasko. Acta Societatis Metheoriticae Polonorum, 7, 27-35. Mazur L. 1969: Rodzimy nikiel z kopalni soli w Wieliczce. Prz. Geol. nr 3. Minerais de Portugal Continental por Amílcar Mário de Jesus (Prof. Mineralogia IST) com a colaboração de A. Viana (Eng. Chefe da Circunscriçao Mineira do Norte) e Rogério Cavaca (Assistente de Mineralogia no IST), 1928. Glavatskih S.F., Trubkin H.V. (2003) Native tellurium and nickel from high-temperature gas exhalates of Great Fissure Tolbachik eruption (Kamchatka), - DAN, 389(2), p. 231-234 (in Rus.). Kassandrov, E. G., & Mazurov, M. P. (2009). Magmatogenic manganese ores of the South Minusa Intermontane Trough. Geology of Ore Deposits, 51(5), 356. (Pis'ma v Astronomicheskii Zhurnal, vol. 1, Apr. 1975, p. 43-47.) Soviet Astronomy Letters, vol. 1, Mar.-Apr. 1975, p. 88, 89. Translation. Shevko, E. P., Bortnikova, S. B., Abrosimova, N. A., Kamenetsky, V. S., Bortnikova, S. P., Panin, G. L., & Zelenski, M. (2018). 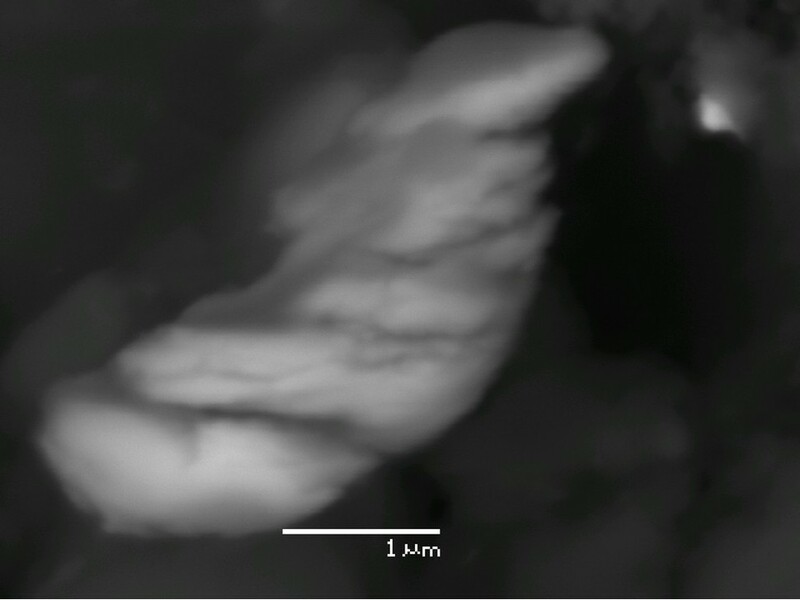 Trace Elements and Minerals in Fumarolic Sulfur: The Case of Ebeko Volcano, Kuriles. Geofluids, 2018.